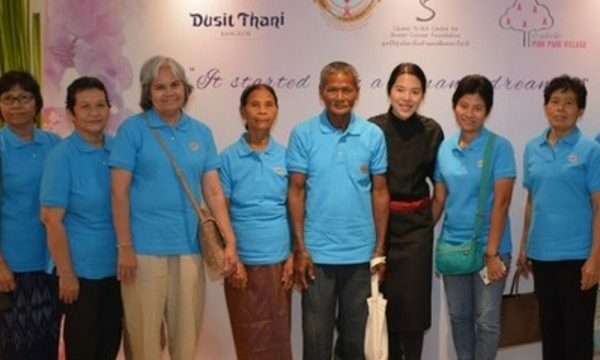 Dusit Thani Bangkok recently organized a special activity to extend happiness and good memories to cancer patients of 84 Passa Project under the support of The Thai Red Cross Society, Chulalongkorn Hospital and Queen Sirikit Centre for Breast Cancer Foundation (QSCBC). All patients are underprivileged and have no chance to receive treatment, however, with this project they receive free treatment through the royal charity on the occasion of Her Majesty Queen Sirikit’s 84th year birthday anniversary. .
Paweenuch Yodprechavijit or Chef Kaew prepared special Thai dishes to give an opportunity for these patients to enjoy a culinary experience in a beautiful setting and ambience of Benjarong in the company of their supporters and guests to have fond memories while still in the process of receiving treatment. This culinary journey was organized under the theme “It Started with A Woman’s Dream” to inspire and encourage all women who have dreams to try and make their dreams come true. 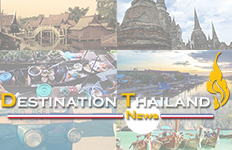 This theme is under “The Timeless Legend” campaign in celebration of the hotel’s successful 49 years as a beacon of Thai hospitality to the world and a great opportunity for the hotel to organize charity events to give back to society.